07 | October | 2012 | Plan. Shop. Eat. Live. My favorite cold weather soup. is, by far, cooked chicory soup. Chicory is a leafy green that can be eaten cold or cooked hot. It’s priced at less than a dollar per pound and one head usually cooks up enough soup for 2 people with leftovers. Triple rinse the chicory, cutting off the bottom stalk. Boil it in water for about 7-10 minutes. In a second pan, boil water, olive oil, and just a small dash of Himalayan sea salt. Wen the second pan is to a full boil, transfer the boiled chicory into the broth. 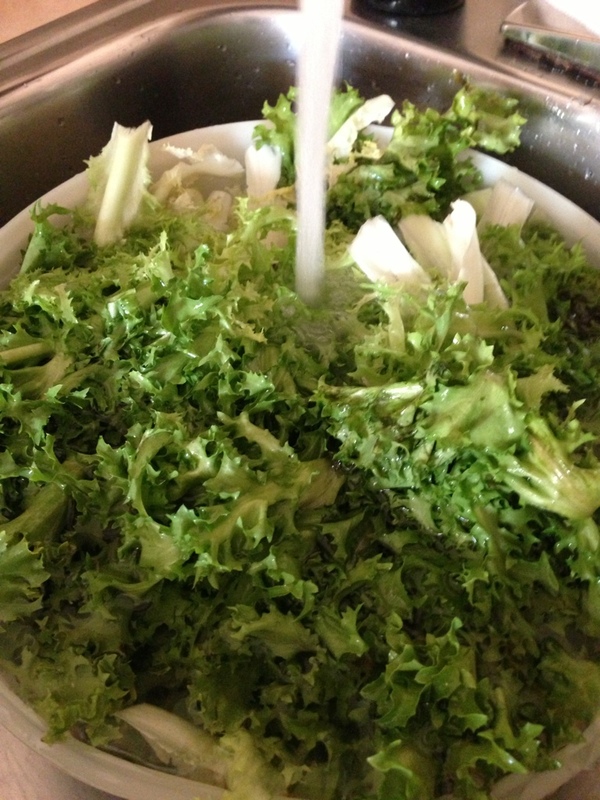 Let it simmer for about 10 minutes and you have very tasty and healthy greens to eat all day.